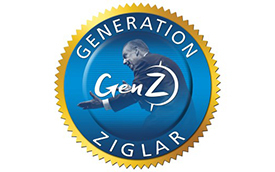 This conference is facilitated by Ziglar Youth Certified Speakers and focuses on self-image, relationship building, and goal-setting. Building Excellence is a one-day experience open to ALL Texas FFA members in their junior year of high school and will be held in conjunction with the Made for Excellence and Executing Excellence conferences. The 2018 - 2019 conference season has now ended, see details below for information regarding the 2019 - 2020 conference information! The same conference will be hosted at all locations across Texas on each of the different dates. Building Excellence is open to ALL Texas FFA members in their junior year of high school. 2018 - 2019 conference season has ended. Stay tuned for the 2019 - 2020 dates and locations! Students grew an average of 67% in their ability to identify barriers to attaining their goals. Students grew an average of 31% in their ability to identify how to build positive relationships. Students grew an average pf 74% in their ability to describe steps to change their view on their personal image.